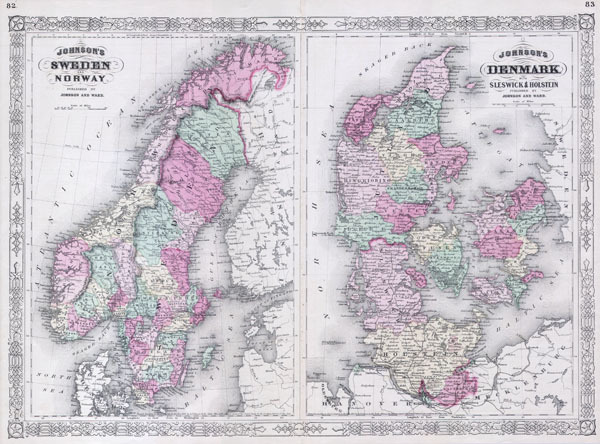 Johnson’s Sweden and Norway. / Johnson’s Denmark with Sleswick & Holstein. Fine or perfect condition. Text on verso.